Liczba stron: 479 Jest to ujednolicona liczba stron, która ułatwi Ci porównanie długości książek. Każda strona Legimi to 200 słów. The moment came near for the Polish centenarian grandmother to die. From the doctor's statement it appeared she had only a bad quarter of an hour to live. Her attack had been sudden, and the grandchildren she loved to scold could not be present.She had already battled through the great wave of pain, and was drifting beyond the boundaries of her earthly Refuge. The nurses, forgetting the trouble her querulousness and her overweening dietary scruples had cost them, hung over the bed on which the shrivelled entity lay. They did not know she was living again through the one great episode of her life.Nearly forty years back, when (though already hard upon seventy and a widow) a Polish village was all her horizon, she received a letter. It arrived on the eve of Sabbath on a day of rainy summer. It was from her little boy—her only boy—who kept a country inn seven-and-thirty miles away, and had a family. She opened the letter with feverish anxiety. Her son—her Kaddish—was the apple of her eye. The old woman eagerly perused the Hebrew script, from right to left. Then weakness overcame her and she nearly fell. IIt was not till she had fasted every Monday and Thursday for a twelvemonth, that Zillah's long yearning for a child was gratified. She gave birth—O more than fair-dealing God!—to a boy.Jossel, who had years ago abandoned the hope of an heir to pray for his soul, was as delighted as he was astonished. His wife had kept him in ignorance of the fasts by which she was appealing to Heaven; and when of a Monday or Thursday evening on his return from his boot factory in Bethnal Green, he had sat down to his dinner in Dalston, no suspicion had crossed his mind that it was Zillah's breakfast. He himself was a prosaic person, incapable of imagining such spontaneities of religion, though he kept every fast which it behoves an orthodox Jew to endure who makes no speciality of sainthood. There was a touch of the fantastic in Zillah's character which he had only appreciated in its manifestation as girlish liveliness, and which Zillah knew would find no response from him in its religious expression.Not that her spiritual innovations were original inventions. From some pious old crone, after whom (as she could read Hebrew) a cluster of neighbouring dames repeated what they could catch of the New Year prayers in the women's synagogue, Zillah had learnt that certain holy men were accustomed to afflict their souls on Mondays and Thursdays. From her unsuspecting husband himself she had further elicited that these days were marked out from the ordinary, even for the man of the world, by a special prayer dubbed "the long 'He being merciful.'" Surely on Mondays and Thursdays, then, He would indeed be merciful. To make sure of His good-will she continued to be unmerciful to herself long after it became certain that her prayer had been granted.IIBoth Zillah and Jossel lived in happy ignorance of most things, especially of their ignorance. The manufacture of boots and all that appertained thereto, the synagogue and religion, misunderstood reminiscences of early days in Russia, the doings and misdoings of a petty social circle, and such particular narrowness with general muddle as is produced by stumbling through a Sabbath paper and a Sunday paper: these were the main items in their intellectual inventory. Separate Zillah from her husband and she became even poorer, for she could not read at all.Yet they prospered. The pavements of the East End resounded with their hob-nailed boots, and even in many a West End drawing-room their patent-leather shoes creaked. But they themselves had no wish to stand in such shoes; the dingy perspectives of Dalston villadom limited their ambition, already sufficiently gratified by migration from Whitechapel. The profits went to enlarge their factory and to buy houses, a favourite form of investment in their set. Zillah could cook fish to perfection, both fried and stewed, and the latter variety both sweet and sour. Nothing, in fine, had been wanting to their happiness—save a son, heir, and mourner.When he came at last, little that religion or superstition could do for him was left undone. An amulet on the bedpost scared off Lilith, Adam's first wife, who, perhaps because she missed being the mother of the human race, hankers after babes and sucklings. The initiation into the Abrahamic covenant was graced by a pious godfather with pendent ear-locks, and in the ceremony of the Redemption of the First-Born the five silver shekels to the priest were supplemented by golden sovereigns for the poor. Nor, though Zillah spoke the passable English of her circle, did she fail to rock her Brum's cradle to the old "Yiddish" nursery-songs:—"Sleep, my birdie, shut your eyes,O sleep, my little one;Too soon from cradle you'll ariseTo work that must be done. "Almonds and raisins you shall sell,And holy scrolls shall write;So sleep, dear child, sleep sound and well,Your future beckons bright. "Brum shall learn of ancient days,And love good folk of this;So sleep, dear babe, your mother prays,And God will send you bliss. "Alas, that with all this, Brum should have grown up a weakling, sickly and anæmic, with a look that in the child of poorer parents would have said starvation.IIIYet through all the vicissitudes of his infantile career, Zillah's faith in his survival never faltered. He was emphatically a child from Heaven, and Providence would surely not fly in its own face. Jossel, not being aware of this, had a burden of perpetual solicitude, which Zillah often itched to lighten. Only, not having done so at first, she found it more and more difficult to confess her negotiation with the celestial powers. She went as near as she dared. "If the Highest One has sent us a son after so many years," she said in the "Yiddish" which was still natural to her for intimate domestic discussion, "He will not take him away again. ""As well say," Jossel replied gloomily, "that because He has sent us luck and blessing after all these years, He may not take away our prosperity.""Hush! don't beshrew the child!" And Zillah spat out carefully. She was tremulously afraid of words of ill-omen and of the Evil Eye, against which, she felt vaguely, even Heaven's protection was not potent. Secretly she became more and more convinced that some woman, envious of all this "luck and blessing," was withering Brum with her Evil Eye. And certainly the poor child was peaking and pining away. "Marasmus," a physician had once murmured, wondering that so well dressed a child should appear so ill nourished. "Take him to the seaside often, and feed him well," was the universal cry of the doctors; and so Zillah often deserted her husband for a kosher boarding-house at Brighton or Ramsgate, where the food was voluminous, and where Brum wrote schoolboy verses to the strange, fascinating sea.For there were compensations in the premature flowering of his intellect. Even other mothers gradually came round to admitting he was a prodigy. The black eyes seemed to burn in the white face as they looked out on the palpitating universe, or devoured every and any scrap of print! A pity they had so soon to be dulled behind spectacles. But Zillah found consolation in the thought that the glasses would go well with the high black waistcoat and white tie of the British Rabbi. He had been given to her by Heaven, and to Heaven must be returned. Besides, that might divert it from any more sinister methods of taking him back.In his twelfth year Brum began to have more trouble with his eyes, and renewed his early acquaintance with the drab ante-rooms of eye hospitals that led, at the long-expected ting-ting of the doctor's bell, into a delectable chamber of quaint instruments. But it was not till he was on the point of Bar-Mitzvah (confirmation at thirteen) that the blow fell. Unwarned explicitly by any physician, Brum went blind. "Oh, mother," was his first anguished cry, "I shall never be able to read again. "IVThe prepared festivities added ironic complications to the horror. After Brum should have read in the Law from the synagogue platform, there was to have been a reception at the house. Brum himself had written out the invitations with conscious grammar. "Present their compliments to Mr. and Mrs. Solomon and shall be glad to see them" (not you, as was the fashion of their set). It was after writing out so many notes in a fine schoolboy hand, that Brum began to be conscious of thickening blurs and dancing specks and colours. Now that the blind boy was crouching in hopeless misery by the glowing fire, where he had so often recklessly pored over books in the delicious dusk, there was no one handy to write out the countermands. As yet the wretched parents had kept the catastrophe secret, as though it reflected on themselves. And by every post the Confirmation presents came pouring in.Brum refused even to feel these shining objects. He had hoped to have a majority of books, but now the preponderance of watches, rings, and penknives, left him apathetic. To his parents each present brought a fresh feeling of dishonesty. "We must let them know," they kept saying. But the tiny difficulty of writing to so many prevented action. "Perhaps he'll be all right by Sabbath," Zillah persisted frenziedly. She clung to the faith that this was but a cloud: for that the glory of the Confirmation of a future Rabbi could be so dimmed would argue an incomprehensible Providence. Brum's performance was to be so splendid—he was to recite not only his own portion of the Law but the entire Sabbath Sedrah (section). "He will never be all right," said Jossel, who, in the utter breakdown of Zillah, had for the first time made the round of the doctors with Brum. "None of the physicians, not even the most expensive, hold out any hope. And the dearest of all said the case puzzled him. It was like the blindness that often breaks out in Russia after the great fasts, and specially affects delicate children. ""Yes, I remember," said Zillah; "but that was only among the Christians. ""We have so many Christian customs nowadays," said Jossel grimly; and he thought of the pestilent heretic in his own synagogue who advocated that ladies should be added to the choir. "Then what shall we do about the people?" moaned Zillah, wringing her hands in temporary discouragement. "You can advertise in the Jewish papers," came suddenly from the brooding Brum. He had a flash of pleasure in the thought of composing something that would be published. "Yes, then everybody will read it on the Friday," said Jossel eagerly.Then Brum remembered that he would not be among the readers, and despair reconquered him. But Zillah was shaking her head. "Yes, but if we tell people not to come, and then when Brum opens his eyes on the Sabbath morning, he can see to read the Sedrah—""But I don't want to see to read the Sedrah," said the boy petulantly; "I know it all by heart. ""My blessed boy!" cried Zillah. "There's nothing wonderful," said the boy; "even if you read the scroll, there are no vowels nor musical signs. ""But do you feel strong enough to do it all?" said the father anxiously. "God will give him strength," put in the mother. "And he will make his speech, too, won't you, my Brum? "The blind face kindled. Yes, he would give his learned address. He had saved his father the expense of hiring one, and had departed in original rhetorical ways from the conventional methods of expressing filial gratitude to the parents who had brought him to manhood. And was this eloquence to remain entombed in his own breast?His courageous resolution lightened the gloom. His parents opened parcels they had not had the heart to touch. They brought him his new suit, they placed the high hat of manhood on his head, and told him how fine and tall he looked; they wrapped the new silk praying-shawl round his shoulders. "Are the stripes blue or black?" he asked. "Blue—a beautiful blue," said Jossel, striving to steady his voice. "It feels very nice," said Brum, smoothing the silk wistfully. "Yes, I can almost feel the blue. "Later on, when his father, a little brightened, had gone off to the exigent boot factory, Brum even asked to see the presents. The blind retain these visual phrases.Zillah described them to him one by one as he handled them. When it came to the books it dawned on her that she could not tell him the titles. "They have such beautiful pictures," she gushed evasively.The boy burst into tears. "Yes, but I shall never be able to read them," he sobbed. "Yes, you will. ""No, I won't. ""Then I'll read them to you," she cried, with sudden resolution. "But you can't read. ""I can learn. ""But you will be so long. I ought to have taught you myself. And now it is too late! "VIn order to insure perfection, and prevent stage fright, so to speak, it had been arranged that Brum should rehearse his reading of the Sedrah on Friday in the synagogue itself, at an hour when it was free from worshippers. This rehearsal, his mother thought, was now all the more necessary to screw up Brum's confidence, but the father argued that as all places were now alike to the blind boy, the prominence of a public platform and a large staring audience could no longer unnerve him. "But he will feel them there!" Zillah protested. "But since they are not there on the Friday—? ""All the more reason. Since he cannot see that they are not there, he can fancy they are there. On Saturday he will be quite used to them. "But when Jossel, yielding, brought Brum to the synagogue appointment, the fusty old Beadle who was faithfully in attendance held up his hands in holy and secular horror at the blasphemy and the blindness respectively. "A blind man may not read the Law to the congregation!" he explained."No?" said Jossel. "Why not?" asked Brum sharply. "Because it stands that the Law shall be read. And a blind man cannot read. He can only recite. ""But I know every word of it," protested Brum.The Beadle shook his head. "But suppose you make a mistake! Shall the congregation hear a word or a syllable that God did not write? It would be playing into Satan's hands. ""I shall say every word as God wrote it. Give me a trial. "But the fusty Beadle's piety was invincible. He was highly sympathetic toward the human affliction, but he refused to open the Ark and produce the Scroll. "I'll let the Chazan (cantor) know he must read to-morrow, as usual," he said conclusively.Jossel went home, sighing, but silenced. Zillah however, was not so easily subdued. "But my Brum will read it as truly as an angel!" she cried, pressing the boy's head to her breast. "And suppose he does make a mistake! Haven't I heard the congregation correct Winkelstein scores of times?""Hush!" said Jossel, "you talk like an Epicurean. Satan makes us all err at times, but we must not play into his hands. The Din (judgment) is that only those who see may read the Law to the congregation. ""Brum will read it much better than that snuffling old Winkelstein.""Sha! Enough! The Din is the Din! ""It was never meant to stop my poor Brum from—""The Din is the Din. It won't let you dance on its head or chop wood on its back. Besides, the synagogue refuses, so make an end. ""I will make an end. I'll have Minyan (congregation) here, in our own house.""What!" and the poor man stared in amaze. "Always she falls from heaven with a new idea! ""Brum shall not be disappointed." And she gave the silent boy a passionate hug. "But we have no Scroll of the Law," Brum said, speaking at last, and to the point. "Ah, that's you all over, Zillah," cried Jossel, relieved,—"loud drumming in front and no soldiers behind! ""We can borrow a Scroll," said Zillah.Jossel gasped again. "But the iniquity is just the same," he said. "As if Brum made mistakes! ""If you were a Rabbi, the congregation would baptize itself!" Jossel quoted.Zillah writhed under the proverb. "It isn't as if you went to the Rabbi; you took the word of the Beadle. ""He is a learned man. "Zillah donned her bonnet and shawl. "Where are you going? ""To the minister. "Jossel shrugged his shoulders, but did not stop her.The minister, one of the new school of Rabbis who preach sermons in English and dress like Christian clergymen, as befitted the dignity of Dalston villadom, was taken aback by the ritual problem, so new and so tragic. His acquaintance with the vast casuistic literature of his race was of the shallowest. "No doubt the Beadle is right," he observed profoundly. "He cannot be right; he doesn't know my Brum. "Worn out by Zillah's persistency, the minister suggested going to the Beadle's together. Aware of the Beadle's prodigious lore, he had too much regard for his own position to risk congregational odium by flying in the face of an exhumable Din.At the Beadle's, the Din was duly unearthed from worm-eaten folios, but Zillah remaining unappeased, further searching of these Rabbinic scriptures revealed a possible compromise.If the portion the boy recited was read over again by a reader not blind, so that the first congregational reading did not count, it might perhaps be permitted.It would be of course too tedious to treat the whole Sedrah thus, but if Brum were content to recite his own particular seventh thereof, he should be summoned to the Rostrum.So Zillah returned to Jossel, sufficiently triumphant.VI"Abraham, the son of Jossel, shall stand. "In obedience to the Cantor's summons, the blind boy, in his high hat and silken praying-shawl with the blue stripes, rose, and guided by his father's hand ascended the platform, amid the emotion of the synagogue. His brave boyish treble, pursuing its faultless way, thrilled the listeners to tears, and inflamed Zillah's breast, as she craned down from the gallery, with the mad hope that the miracle had happened, after all.The house-gathering afterward savoured of the grewsome conviviality of a funeral assemblage. But the praises of Brum, especially after his great speech, were sung more honestly than those of the buried; than whom the white-faced dull-eyed boy, cut off from the gaily coloured spectacle in the sunlit room, was a more tragic figure.But Zillah, in her fineries and forced smiles, offered the most tragic image of all. Every congratulation was a rose-wreathed dagger, every eulogy of Brum's eloquence a reminder of the Rabbi God had thrown away in him.VIIAmid the endless babble of suggestions made to her for Brum's cure, one—repeated several times by different persons—hooked itself to her distracted brain. Germany! There was a great eye-doctor in Germany, who could do anything and everything. Yes, she would go to Germany.This resolution, at which Jossel shrugged his shoulders in despairing scepticism, was received with rapture by Brum. How he had longed to see foreign countries, to pass over that shining sea which whispered and beckoned so, at Brighton and Ramsgate! He almost forgot he would not see Germany, unless the eye-doctor were a miracle-monger indeed.But he was doomed to a double disappointment; for instead of his going to Germany, Germany came to him, so to speak, in the shape of the specialist's annual visit to London; and the great man had nothing soothing to say, only a compassionate head to shake, with ominous warnings to make the best of a bad job and fatten up the poor boy.Nor did Zillah's attempts to read take her out of the infant primers, despite long hours of knitted brow and puckered lips, and laborious triumphs over the childish sentences, by patient addition of syllable to syllable. She also tried to write, but got no further than her own name, imitated from the envelopes.To occupy Brum's days, Jossel, gaining enlightenment in the ways of darkness, procured Braille books. But the boy had read most of the stock works thus printed for the blind, and his impatient brain fretted at the tardiness of finger-reading. Jossel's one consolation was that the boy would not have to earn his living. The thought, however, of how his blind heir would be cheated by agents and rent-collectors was a touch of bitter even in this solitary sweet.VIIIIt was the Sabbath Fire-Woman who, appropriately enough, kindled the next glimmer of hope in Zillah's bosom. The one maid-of-all-work, who had supplied all the help and grandeur Zillah needed in her establishment, having transferred her services to a husband, Zillah was left searching for an angel at thirteen pounds a year. In the interim the old Irishwoman who made a few pence a week by attending to the Sabbath fires of the poor Jews of the neighbourhood, became necessary on Friday nights and Saturdays, to save the household from cold or sin. "Och, the quare little brat!" she muttered, when she first came upon the pale, gnome-like figure by the fender, tapping the big book, for all the world like the Leprechaun cobbling. "And can't he see at all, at all?" she asked Zillah confidentially one Sabbath, when the boy was out of the room.Zillah shook her head, unable to speak."Nebbich!" compassionately sighed the Fire-Woman, who had corrupted her native brogue with "Yiddish." "And wud he be borrun dark? ""No, it came only a few months ago," faltered Zillah.The Fire-Woman crossed herself. "Sure, and who'll have been puttin' the Evil Oi on him?" she asked.Zillah's face was convulsed. "I always said so!" she cried; "I always said so! ""The divil burrun thim all!" cried the Fire-Woman, poking the coals viciously. "Yes, but I don't know who it is. They envied me my beautiful child, my lamb, my only one. And nothing can be done." She burst into tears. "Nothin' is a harrd wurrd! If he was my bhoy, the darlint, I'd cure him, aisy enough, so I wud. "Zillah's sobs ceased. "How?" she asked, her eyes gleaming strangely. "I'd take him to the Pope, av course. ""The Pope!" repeated Zillah vaguely. "Ay, the Holy Father! The ownly man in this wurruld that can take away the Evil Oi. "Zillah gasped. "Do you mean the Pope of Rome? "She knew the phrase somehow, but what it connoted was very shadowy and sinister: some strange, mighty chief of hostile heathendom. "Who else wud I be manin'? The Holy Mother I'd be for prayin' to meself; but as ye're a Jewess, I dursn't tell ye to do that. But the Pope, he's a gintleman, an' so he is, an' sorra a bit he'll moind that ye don't go to mass, whin he shpies that poor, weeshy, pale shrimp o' yours. He'll just wave his hand, shpake a wurrd, an' whisht! in the twinklin' of a bedposht ye'll be praisin' the Holy Mother. "Zillah's brain was whirling. "Go to Rome!" she said.The Fire-Woman poised the poker. "Well, ye can't expect the Pope to come to Dalston! ""No, no; I don't mean that," said Zillah, in hasty apology. "Only it's so far off, and I shouldn't know how to go. ""It's not so far off as Ameriky, an' it's two broths of bhoys I've got there. ""Isn't it?" asked Zillah. "No, Lord love ye: an' sure gold carries ye anywhere nowadays, ixcept to Heaven. ""But if I got to Rome, would the Pope see the child? ""As sartin as the child wud see him," the Fire-Woman replied emphatically. "He can do miracles, then?" inquired Zillah. "What else wud he be for? Not that 'tis much of a miracle to take away the Evil Oi, bad scran to the witch! ""Then perhaps our Rabbi can do it, too?" cried Zillah, with a sudden hope.The Fire-Woman shook her head. "Did ye ever hear he could? ""No," admitted Zillah. "Thrue for you, mum. Divil a wurrd wud I say aginst your Priesht—wan's as good as another, maybe, for ivery-day use; but whin it comes to throuble and heart-scaldin', I pity the poor craythurs who can't put up a candle to the blessed saints—an' so I do. Niver a bhoy o' mine has crassed the ocean without the Virgin havin' her candle. ""And did they arrive safe? ""They did so; ivery mother's son av 'em. "IXThe more the distracted mother pondered over this sensational suggestion, the more it tugged at her. Science and Judaism had failed her: perhaps this unknown power, this heathen Pope, had indeed mastery over things diabolical. Perhaps the strange religion he professed had verily a saving efficacy denied to her own. Why should she not go to Rome?True, the journey loomed before her as fearfully as a Polar Expedition to an ordinary mortal. Germany she had been prepared to set out for: it lay on the great route of Jewish migration westwards. But Rome? She did not even know where it was. But her new skill in reading would, she felt, help her through the perils. She would be able to make out the names of the railway stations, if the train waited long enough.But with the cunning of the distracted she did not betray her heretical ferment. "P—o—p—e, Pope," she spelt out of her infants' primer in Brum's hearing. "Pope? What's that, Brum? ""Oh, haven't you ever heard of the Pope, mother? ""No," said Zillah, crimsoning in conscious invisibility. "He's a sort of Chief Rabbi of the Roman Catholics. He wears a tiara. Kings and emperors used to tremble before him. ""And don't they now?" she asked apprehensively. "No; that was in the Middle Ages—hundreds of years ago. He only had power over the Dark Ages. ""Over the Dark Ages?" repeated Zillah, with a fresh, vague hope. "When all the world was sunk in superstition and ignorance, mother. Then everybody believed in him. "Zillah felt chilled and rebuked. "Then he no longer works miracles?" she said faintly.Brum laughed. "Oh, I daresay he works as many miracles as ever. Of course thousands of pilgrims still go to kiss his toe. I meant his temporal power is gone—that is, his earthly power. He doesn't rule over any countries; all he possesses is the Vatican, but that is full of the greatest pictures by Michael Angelo and Raphael. "Zillah gazed open-mouthed at the prodigy she had brought into the world. "Raphael—that sounds Jewish," she murmured. 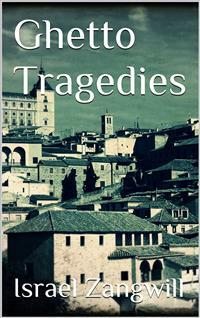 She longed to ask in what country Rome was, but feared to betray herself.Brum laughed again. "Raphael Jewish! Why—so it is! It's a Hebrew word meaning 'God's healing. '""God's healing!" repeated Zillah, awestruck.Her mind was made up.X"Knowest thou what, Jossel?" she said in "Yiddish," as they sat by the Friday-night fireside when Brum had been put to bed. "I have heard of a new doctor, better than all the others!" After all it was the doctor, the healer, the exorcist of the Evil Eye, that she was seeking in the Pope, not the Rabbi of an alien religion.Jossel shook his head. "You will only throw more money away. ""Better than throwing hope away. ""Well, who is it now? ""He lives far away. ""In Germany again? ""No, in Rome. ""In Rome? Why, that's at the end of the world—in Italy! ""I know it's in Italy!" said Zillah, rejoiced at the information. "But what then? If organ-grinders can travel the distance, why can't I? ""But you can't speak Italian! ""And they can't speak English!""Madness! Work, but not wisdom! I could not trust you alone in such a strange country, and the season is too busy for me to leave the factory. ""I don't need you with me," she said, vastly relieved. "Brum will be with me. "He stared at her. "Brum! ""Brum knows everything. Believe me, Jossel, in two days he will speak Italian. ""Let be! Let be! Let me rest! ""And on the way back he will be able to see! He will show me everything, and Mr. Raphael's pictures. 'God's healing,'" she murmured to herself. "But you'd be away for Passover! Enough! ""No, we shall be easily back by Passover. ""O these women! The Almighty could not have rested on the seventh day if he had not left woman still uncreated. ""You don't care whether Brum lives or dies!" Zillah burst into sobs. "It is just because I do that I ask how are you going to live on the journey? And there are no kosher hotels in Italy. ""We shall manage on eggs and fish. God will forgive us if the hotel plates are unclean. ""But you won't be properly nourished without meat. ""Nonsense; when we were poor we had to do without it." To herself she thought, "If he only knew I did without food altogether on Mondays and Thursdays! "XIAnd so Brum passed at last over the shining, wonderful sea, feeling only the wind on his forehead and the salt in his nostrils. It was a beautiful day at the dawn of spring; the far-stretching sea sparkled with molten diamonds, and Zillah felt that the highest God's blessing rested like a blue sky over this strange pilgrimage. She was dressed with great taste, and few would have divined the ignorance under her silks. "Mother, can you see France yet?" Brum asked very soon. "No, my lamb. ""Mother, can you see France yet?" he persisted later. "I see white cliffs," she said at last."Ah! that's only the white cliffs of Old England. Look the other way. ""I am looking the other way. I see white cliffs coming to meet us. ""Has France got white cliffs, too?" cried Brum, disappointed.On the journey to Paris he wearied her to describe France. In vain she tried: her untrained vision and poor vocabulary could give him no new elements to weave into a mental picture. There were trees and sometimes houses and churches. And again trees. What kind of trees? Green! Brum was in despair. France was, then, only like England; white cliffs without, trees and houses within. He demanded the Seine at least. "Yes, I see a great water," his mother admitted at last. "That's it! It rises in the Côte d'Or, flows N.N.W. then W., and N.W. into the English Channel. It is more than twice as long as the Thames. Perhaps you'll see the tributaries flowing into it—the little rivers, the Oise, the Marne, the Yonne. ""No wonder the angels envy me him!" thought Zillah proudly.They halted at Paris, putting up for the night, by the advice of a friendly fellow-traveller, at a hotel by the Gare de Lyon, where, to Zillah's joy and amazement, everybody spoke English to her and accepted her English gold—a pleasant experience which was destined to be renewed at each stage, and which increased her hope of a happy issue. "How loud Paris sounds!" said Brum, as they drove across it. He had to construct it from its noises, for in answer to his feverish interrogations his mother could only explain that some streets were lined with trees and some foolish unrespectable people sat out in the cold air, drinking at little tables. "Oh, how jolly!" said Brum. "But can't you see Notre Dame? ""What's that? ""A splendid cathedral, mother—very old. Do look for two towers. We must go there the first thing to-morrow. ""The first thing to-morrow we take the train. The quicker we get to the doctor, the better. ""Oh, but we can't leave Paris without seeing Notre Dame, and the gargoyles, and perhaps Quasimodo, and all that Victor Hugo describes. I wonder if we shall see a devil-fish in Italy," he added irrelevantly. "You'll see the devil if you go to such places," said Zillah, who, besides shirking the labor of description, was anxious not to provoke unnecessarily the God of Israel. "But I've often been to St. Paul's with the boys," said Brum. "Have you?" She was vaguely alarmed. "Yes, it's lovely—the stained windows and the organ. Yes, and the Abbey's glorious, too; it almost makes me cry. I always liked to hear the music with my eyes shut," he added, with forced cheeriness, "and now that'll be all right. ""But your father wouldn't like it," said Zillah feebly. "Father wouldn't like me to read the Pilgrim's Progress," retorted Brum. "He doesn't understand these things. There's no harm in our going to Notre Dame. ""No, no; it'll be much better to save all these places for the way back, when you'll be able to see for yourself. "Too late it struck her she had missed an opportunity of breaking to Brum the real object of the expedition. "But the Seine, anyhow!" he persisted. "We can go there to-night. ""But what can you see at night?" cried Zillah, unthinkingly. "Oh, mother! how beautiful it used to be to look over London Bridge at night when we came back from the Crystal Palace! "In the end Zillah accepted the compromise, and after their dinner of fish and vegetables—for which Brum had scant appetite—they were confided by the hotel porter to a bulbous-nosed cabman, who had instructions to restore them to the hotel. Zillah thought wistfully of her warm parlour in Dalston, with the firelight reflected in the glass cases of the wax flowers.The cab stopped on a quay."Well?" said Brum breathlessly. "Little fool!" said Zillah good-humouredly. "There is nothing but water—the same water as in London. ""But there are lights, aren't there? ""Yes, there are lights," she admitted cheerfully. "Where is the moon? ""Where she always is—in the sky. ""Doesn't she make a silver path on the water?" he said, with a sob in his voice. "What are you crying at? The mother didn't mean to make you cry. "She strained him contritely to her bosom, and kissed away his tears.XIIThe train for Switzerland started so early that Brum had no time to say his morning prayers; so, the carriage being to themselves, he donned his phylacteries and his praying-shawl with the blue stripes.Zillah sat listening to the hour-long recitative with admiration of his memory.Early in the hour she interrupted him to say: "How lucky I haven't to say all that! I should get tired. ""That's curious!" replied Brum. "I was just saying, 'Blessed art Thou, O Lord our God, who hath not made me a woman.' But a woman has to pray, too, mother. Else why is there given a special form for the women to substitute?—'Who hath made me according to His will. '""Ah, that's only for learned women. Only learned women pray. ""Well, you'd like to pray the Benediction that comes next, mother, I know. Say it with me—do. "She repeated the Hebrew obediently, then asked: "What does it mean? ""'Blessed art Thou, O Lord our God, who openest the eyes of the blind. '""Oh, my poor Brum! Teach it me! Say the Hebrew again. "She repeated it till she could say it unprompted. And then throughout the journey her lips moved with it at odd times. It became a talisman—a compromise with the God who had failed her. "Blessed art Thou, O Lord our God, who openest the eyes of the blind. "XIIIMountains were the great sensation of the passage through Switzerland. Brum had never seen a mountain, and the thought of being among the highest mountains in Europe was thrilling. Even Zillah's eyes could scarcely miss the mountains. She painted them in broad strokes. But they did not at all correspond to Brum's expectations of the Alps. "Don't you see glaciers?" he asked anxiously. "No," replied Zillah, but kept a sharp eye on the windows of passing chalets till the boy discovered that she was looking for glaziers at work. "Great masses of ice," he explained, "sliding down very slowly, and glittering like the bergs in the Polar regions. ""No, I see none," she said, blushing."Ah! wait till we come to Mont Blanc. "Mont Blanc was an obsession; his geography was not minute enough to know that the route did not pass within sight of it. He had expected it to dominate Switzerland as a cathedral spire dominates a little town. "Mont Blanc is 15,784 feet above the sea," he said voluptuously. "Eternal snow is on its top, but you will not see that, because it is above the clouds. ""It is, then, in Heaven," said Zillah. "God is there," replied Brum gravely, and burst out with Coleridge's lines from his school-book:—"'God! let the torrents, like a shout of nations,Answer! and let the ice-plains echo, God!God! sing ye meadow-streams with gladsome voice!Ye pine-groves, with your soft and soul-like sounds!And they, too, have a voice, yon piles of snow,And in their perilous fall shall thunder God! '""Who openest the eyes of the blind," murmured Zillah. "There are five torrents rushing down, also," added Brum. "'And you, ye five wild torrents fiercely glad.' You'll recognize Mont Blanc by that. Don't you see them yet, mother? ""Wait, I think I see them coming. "Presently she announced Mont Blanc definitely; described it with glaciers and torrents and its top reaching to God.Brum's face shone. "Poor lamb! I may as well give him Mont Blanc," she thought tenderly.XIVEndless other quaint dialogues passed between mother and son on that tedious and harassing journey southwards. "There'll be no more snow when we get to Italy," Brum explained. "Italy's the land of beauty—always sunshine and blue sky. It's the country of the old Gods—Venus, the goddess of beauty; Juno, with her peacocks; Jupiter, with his thunderbolts, and lots of others. ""But I thought the Pope was a Christian," said Zillah. "So he is. It was long ago, before people believed in Christianity. ""But then they were all Jews. ""Oh no, mother. There were Pagan gods that people used to believe in at Rome and in Greece. In Greece, though, these gods changed their names.""So!" said Zillah scornfully; "I suppose they wanted to have a fresh chance. And what's become of them now? ""They weren't ever there, not really. ""And yet people believed in them? Is it possible?" Zillah clucked her tongue with contemptuous surprise. Then she murmured mechanically, "'Blessed art Thou, O Lord our God, who openest the eyes of the blind. '""Well, and what do people believe in now? The Pope!" Brum reminded her. "And yet he's not true. "Zillah's heart sank. "But he's really there," she protested feebly. "Oh yes, he's there, because pilgrims come from all parts of the world to get his blessing. "Her hopes revived. "But they wouldn't come unless he really did them good. ""Well, if you argue like that, mother, you might as well say we ought to believe in Christ.""Hush! hush!" The forbidden word jarred on Zillah. She felt chilled and silenced. She had to call up the image of the Irish Fire-Woman to restore herself to confidence. It was clear Brum must not be told; his unfaith might spoil all. No, the deception must be kept up till his eyes were opened—in more than one sense.XVAfter Mont Blanc, Brum's great interest was the leaning tower of Pisa. "It is one of the wonders of the world," he said; "there are seven altogether. ""Yes, it is a wonderful world," said Zillah; "I never thought about it before. "And in truth Italy was beginning to touch sleeping chords. The cypresses, the sunset on the mountains, the white towns dozing on the hills under the magical blue sky,—all these broad manifestations of an obvious beauty, under the spur of Brum's incessant interrogatory, began to penetrate. Nature in unusual combinations spoke to her as its habitual phenomena had never done. Her replies to Brum did rough justice to Italy.Florence recalled "Romola" to the boy. He told his mother about Savonarola. "He was burnt!""What!" cried Zillah. "Burn a Christian! No wonder, then, they burnt Jews. But why? ""He wanted the people to be good. All good people suffer. ""Oh, nonsense, Brum! It is the bad who suffer. "Then she looked at his wasted, white face, grown thinner with the weariness of the long journey through perpetual night, and wonder at her own words struck her silent.XVIThey arrived at last in the Eternal City, having taken a final run of many hours without a break. But the Pope was still to seek.Leaving the exhausted Brum in bed, Zillah drove the first morning to the Vatican, where Brum said he lived, and asked to see him.A glittering Swiss Guard stared blankly at her, and directed her by dumb show to follow the stream of people—the pilgrims, Zillah told herself. She was made to scrawl her name, and, thanking God that she had acquired that accomplishment, she went softly up a gorgeous flight of steps, and past awe-inspiring creatures in tufted helmets, into the Sistine Chapel, where she wondered at people staring ceilingwards through opera-glasses, or looking downwards into little mirrors. Zillah also stared up through the gloom till she had a crick in the neck, but saw no sign of the Pope. She inquired of the janitor whether he was the Pope, and realized that English was, after all, not the universal language. She returned gloomily to see after Brum, and to consider her plan of campaign. "The great doctor was not at home," she said. "We must wait a little. ""And yet you made us hurry so through everything," grumbled Brum.Brum remained in bed while Zillah went to get some lunch in the dining-room. A richly dressed old lady who sat near her noticed that she was eating Lenten fare, like herself, and, assuming her a fellow-Catholic, spoke to her, in foreign-sounding English, about the blind boy whose arrival she had observed.Zillah asked her how one could get to see the Pope, and the old lady told her it was very difficult. "Ah, those blessed old times before 1870!—ah, the splendid ceremonies in St. Peter's! Do you remember them? "Zillah shook her head. The old lady's assumption of spiritual fellowship made her uneasy.But St. Peter's stuck in her mind. Brum had already told her it was the Pope's house of prayer. Clearly, therefore, it was only necessary to loiter about there with Brum to chance upon him and extort his compassionate withdrawal of the spell of the Evil Eye. With a culminating inspiration she bought a photograph of the Pope, and overcoming the first shock of hereditary repulsion at the sight of the large pendent crucifix at his breast, she studied carefully the Pontiff's face and the Papal robes.Then, when Brum declared himself strong enough to get up, they drove to St. Peter's, the instruction being given quietly to the driver so that Brum should not overhear it.It was the first time Zillah had ever been in a cathedral; and the vastness and glory of it swept over her almost as a reassuring sense of a greater God than she had worshipped in dingy synagogues. She walked about solemnly, leading Brum by the hand, her breast swelling with suppressed sobs of hope. Her eyes roved everywhere, searching for the Pope; but at moments she well-nigh forgot her disappointment at his absence in the wonder and ghostly comfort of the great dim spaces, and the mysterious twinkle of the countless lights before the bronze canopy with its golden-flashing columns. "Where are we, mother?" said Brum at last. "We are waiting for the doctor. ""But where? ""In the waiting-room. ""It seems very large, mother. ""No, I am walking round and round. ""There is a strange smell, mother,—I don't know what—something religious. ""Oh, nonsense!" She laughed uneasily. "I know what it smells like: cold marble pillars and warm coloured windows. "Her blood froze at such uncanny sensibility. "It is the smell of the medicines," she murmured. Somehow his divination made it more difficult to confess to him. "It feels like being in St. Paul's or the Abbey," he persisted, "when I used to shut my eyes to hear the organ better." He had scarcely ceased speaking, when a soft, slow music began to thrill with life the great stone spaces.Brum's grasp tightened convulsively: a light leapt into the blind face. Both came to a standstill, silent. In Zillah's breast rapture made confusion more confounded; and as this pealing grandeur, swelling more passionately, uplifted her high as the mighty Dome, she forgot everything—even the need of explanation to Brum—in this wonderful sense of a Power that could heal, and her Hebrew benediction flowed out into sobbing speech:—"'Blessed art Thou, O Lord our God, who openest the eyes of the blind. '"But Brum had fainted, and hung heavy on her arm.XVIIWhen Brum awoke, in bed again, after his long fainting-fit, he related with surprise his vivid dream of St. Paul's, and Zillah weakly acquiesced in the new deception, especially as the doctor warned her against exciting the boy. But her hopes were brighter than ever; for the old lady had beneficently appeared from behind a pillar in St. Peter's to offer eau de Cologne for the unconscious Brum, and had then, interesting herself in the couple, promised to procure for her fellow-Catholics admission to the next Papal reception. Being a very rich and fashionable old lady, she kept her word; but unfortunately, when the day came round, Brum was terribly low and forbidden to leave his bed.Zillah was distracted. If she should miss the great chance after all! It might never recur again. "Brum," she said at last, "this is the only day for a long time that the great eye-doctor receives patients. Do you think you could go, my lamb? ""Why won't he come here—like the other doctors? ""He is too great. ""Well, I daresay I can manage. It's miserable lying in bed. Fancy coming to Rome and seeing nothing! "With infinite care Brum was dressed and wrapped up, and placed in a specially comfortable brougham; and thus at last mother and son stood waiting in one of the ante-chambers of the Vatican, amid twenty other pilgrims whispering in strange languages. Zillah was radiantly assured: the mighty Power, whatever it was, that spoke in music and in mountains, would never permit such weary journeyings and waitings to end in the old darkness; the malice of witches could not prevail against this great spirit of sunshine. For Brum, too, the long pilgrimage had enveloped the doctor with a miraculous glamour as of an eighth wonder of the world.Drooping wearily on his mother's arm, but wrought up to joyous anticipation, Brum had an undoubting sense of the patient crowd around him waiting, as in his old hospital days, for admission to the doctor's sanctum. His ear was strung for the ting-ting of the bell summoning the sufferers one by one.At last a wave of awe swept over the little fashionable gathering, and set Zillah's heart thumping and the room fading in mist, through which the tall, venerable, robed figure, the eagle features softened in benediction, gleamed like a god's. Then she found herself on her knees, with Brum at her side, and the wonderful figure passing between two rows of reverent pilgrims. "Why must I kneel, mother?" murmured Brum feebly."Hush! hush!" she whispered. "The great doc—" she hesitated in awe of the venerable figure—"the great healer is here. ""The great healer!" breathed Brum. His face was transfigured with ecstatic forevision. "'Who openeth the eyes of the blind,'" he murmured, as he fell forward in death.